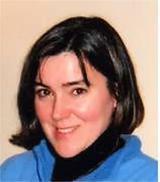 Mary Albon (albon@intelligenttv.com) is a research associate with Intelligent Television. Ms. Albon has over 20 years of experience in education, media, and management. Presently she is a consultant to Barnes & Noble Publishing, Inc., serving as commissioning editor for B&N’s Library of Essential Reading and working on the development of new book series. Previously she served as manager of international field-based programs and corporate relations at the F. W. Olin Graduate School of Business at Babson College; associate director of Pubwatch, a nonprofit organization supporting the publishing industries in Eastern & Central Europe and the former Soviet Union; program officer at the Foundation for a Civil Society, where she managed the Project on Justice in Times of Transition; and publications editor and program officer at the Institute for East-West Security Studies. Ms. Albon has designed and implemented a wide array of high-level international academic and policy programs and conferences focused on Eastern & Central Europe, the former Soviet Union, Central America, and Northern Ireland. She also has worked as a public relations consultant in Moscow. Ms. Albon is a graduate of Harvard College and Columbia University’s School of International and Public Affairs, and she is a fellow of the 21st Century Trust.